U.S. Navy commanders say Iran is jeopardizing international navigation by "harassing" warships passing through the Strait of Hormuz. U.S. Navy commanders on Wednesday accused Iran of jeopardizing international navigation by "harassing" warships passing through the Strait of Hormuz, warning future incidents could result in miscalculation and lead to an armed clash, Reuters reported. The commanders spoke after the U.S. aircraft carrier George H.W. Bush confronted what one of the officers described as two sets of Iranian Navy fast-attack boats that had approached a U.S.-led, five-vessel flotilla as it entered the Strait on Tuesday. It was the first time a U.S. carrier entered the narrow waterway, where up to 30 percent of global oil exports pass annually, since President Donald Trump took office in January. Tuesday's incident, in which the George H.W. Bush sent helicopter gunships to hover over the Iranian speedboats, ended without a shot being fired, the officials told Reuters. The incident follows recent tensions in the Gulf between the United States and Iran. In January, a U.S. Navy ship fired warning shots at Iranian boats near the Strait of Hormuz, after five Iranian vessels approached the USS Mahan and two other American ships that were entering the strait. 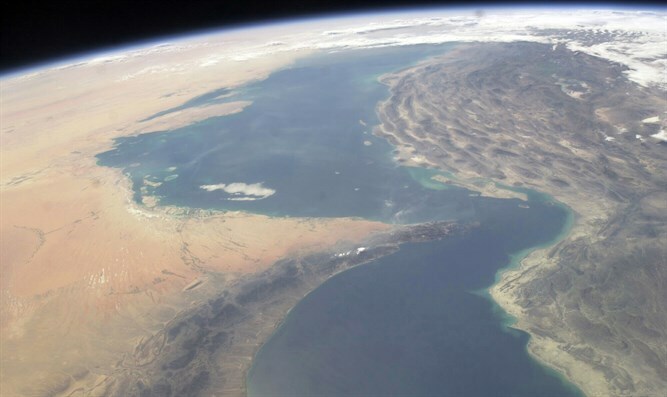 In September, the Navy said that Iran had threatened two American maritime patrol aircraft flying over the Strait of Hormuz. Earlier this month, Iranian military vessels had a close encounter with a U.S. surveillance ship in the Strait of Hormuz. The incident was described by American officials as an “unsafe” and “unprofessional” maneuver by the Iranians. Iran’s Revolutionary Guards in turn accused the United States of provoking tensions which led to the incident. The latest encounter with Iranian Navy boats occurred as the USS George H.W. Bush was en route to the northern part of the Gulf to participate in U.S.-led air strikes against the Islamic State (ISIS) in Iraq and Syria. "What I don't like about that is they (Iranian boats) were in the middle of international transit waters (while) we had a right to be there as we were exercising freedom of navigation on our way into the Arabian Gulf," Rear Admiral Kenneth Whitesell, commander of the Carrier Strike Group 2, was quoted by Reuters as having told journalists. "They also had weapons uncovered as some of the cameras were able to tell. They had some of the weapons manned. We also have aerial data that they were arming all of these weapons," he added.